Wicca is a belief system and way of life based upon the reconstruction .Wicca is a religion with strong moral code, promises peace and harmony with the universe and offers its followers the ability to tap into a supernatural source of power to be used for the benefit of mankind. It is a nature based religion and wiccans believe that they are tapping into an energy source that is naturally occurring in the world around us, and merely needs to be channeled in the right direction. 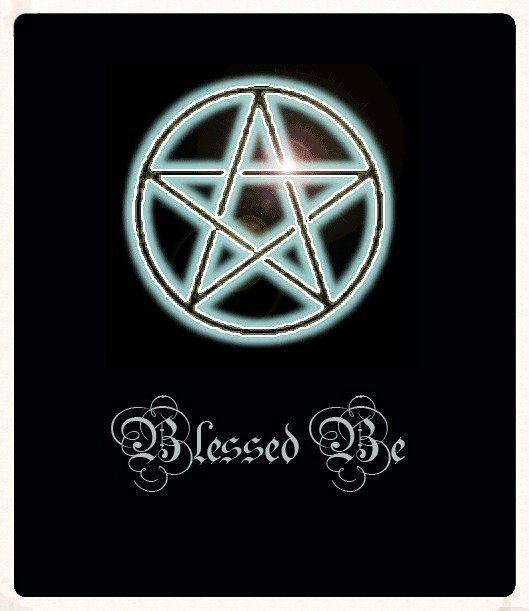 The religion of Wicca can be described as a form of worship where the God and Goddess being worshiped are viewed in the form of a triple goddess and a horned god. The God and Goddess are assumed to be “avatars” of a main supreme deity who has many different forms or avatars. A large number of theological aspects also exist within this religion starting from monotheism which refers to worshiping only one form of God to atheism which means having no belief in the existence of God or any such super natural being. The belief of most Witches is that “God” is a supreme force which is genderless. This image is hard to picture in the mind’s eye. Therefore, in order to create an image that is easy to imagine and relate to, the Wiccan pictures a God and a Goddess as their source of worship. Just as there are male and female in most of nature’s creatures, so is there also a male and a female God in the Wiccan religion. The male God of Wicca has been named many different names and according to the different traditions of Witchcraft. Some of the names are: Cernunnos, Pan, Faunus and Osiris. Different names by which the Goddess is known by are: Aradia, Isis, Diana and Cerridwen. Some Witches prefer to generalize by calling them “Lord and Lady”, or simply “God and Goddess”. The night time and moon are attributes of the Goddess. The sun is associated with the God, hence the terms “Moon Goddess” and “Sun God”. The Witch decides upon the image of the Supreme Being or God and Goddess with whom they feel communication flows most easily. • Visualize healing energy cascading into your body from the top of your head to the bottom of your feet. Hold the energy for 3-4 minutes. • Visualize healing energy cascading into your body from the bottom of your feet to the top of your head. Hold the energy for 3-4 minutes. • Visualize a shining, silver cocoon surrounding you. Imagine this cocoon is filled with light and healing energy. Within this space, visualize everything is warm and comforting and that nothing can harm you. By visualizing yourself wrapped in healing energy, you will access the infinite restorative power of the universe. • When you are ready, visualize this shell opening to a world filled with unlimited energy which you are a part. Visualizing healing energy surrounding you is a wonderful way to revitalize your energy. When you feel that you need to withdraw from the world, it is often because you have too many demands on your time and physical stamina. When you create a space in which you can restore yourself and then visualize this shell is charged with healing energy that eventually unfolds into the universe you can restore yourself in ten minutes. You will notice it becomes easier to deal with the concerns of the outside world when you have restored your energy. Healing Touch: – Healing Touch is a method of energy therapy that utilizes gentle touch to enhance a total balance of health encompassing mind, body, and spirit. Healing Touch uses one’s own energy to affect healing. Clinicians touch the individual in order to stimulate the energy fields within the body. This technique can be used safely for adults and children. Many people have attested to quicker healing and shorter recovery times when this method of therapy is applied before and after medical procedures. Healing Touch provides a comfortable and relaxing form of therapy. The nurturing touch is administered only to specific body parts but serves to stimulate the flow of energy throughout the body, resonating through the whole person, spiritually, mentally, and physically. This technique is non-invasive and is completely safe for people of all ages. It can be combined with other therapeutic methods and medicinal applications. Healing Touch has been known to reduce stress, decrease pain, create calm by relieving symptoms of depression and anxiety and to alleviate physical discomfort related to neck and back issues. It has also been reported to aid in patients suffering with the side effects of cancer treatment, and it can help those with chronic illness better manage and cope with their symptoms. Another by-product of healing touch is the deepened sense of connection to one’s spiritual self. Spiritual Healing: – Spiritual healing is a term known to many. However it means different things to different people. The entire premise and perspective of this article is based on the purpose of life, one of which is to grow spiritually and help others not merely at worldly level but with the focus to grow spiritually. The more we are aligned to helping a person grow spiritually when we practice spiritual healing, the less we risk being misaligned with the purpose of life and a resultant reduction in our spiritual capability to heal. Seema sharing her experience said , I was always a very ambitious person, I always scored very well in academics, even I got placed in the best company of my industry but later even after getting all I wanted, sense of happiness was missing which affected my performance and lost my job, I was really confused to what is happening with me and then I met Dr.Madhu Kotiya, after sharing my problems, she helped me realizing my problems in a better way and gave me solutions. Today I am back in that company on a higher designation and better pay scale. Today I feel more focused, happy in life. Past life Healing: -The technique used during past life regression involves the subject answering a series of questions while hypnotized to reveal identity and events of alleged past lives,. Past life healing gives you the opportunity to re-live certain times in you past lives, perhaps certain critical moments that define who you are today and see what happened. In many cases it’s like when Detectives go back to the scene of the crime to obtain evidence or shed new light on a case. Perhaps you will see things, hear things or feel things which will finally allow you some closure or relief. Past life regression or Past life Healing is the deliberate use of a variety of methods to retrieve memories of experiences that occurred in other life times. Most of us have no problem in seeing strengths and weaknesses in others. When it comes to knowing our own life situations with clarity, the challenge often seems insurmountable. Viewing the cycles and patterns of behavior recurring through many life times, we get a clear insight into our habits, struggles, fears, hopes, choices and dreams. 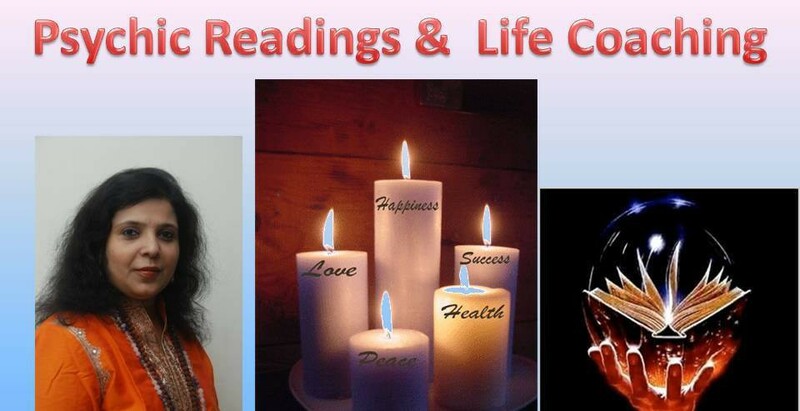 What is remarkable about past life work is that you can process as powerfully as if you are remembering your present day childhood, and more importantly, you can begin to discover solutions to other intractable problems, such as phobias, allergies, and disease. Sandeep was taken into hypnosis and regressed to a past life. He told me that he was in a cold, stone floored room. There was a high window and big solid door. It was dark. He was a young man, wearing smart trousers tucked into boots. The top half of him was dark so he couldn’t tell what sort of clothing it was. At first he didn’t know where he was or what was happening. As normal I asked him questions about himself and his surroundings but he didn’t want to tell me anything. I eventually got out of him that he was a Businessman, called Yashveer. The year was 1952.He was very nervous and refused to tell me any more so I brought him out of hypnosis. Once he was back to his normal waking state of mind he was fully aware of what he had felt, known and witnessed during hypnosis and he told me what had happened. He was a Businessman with rude behavior, angry attitude and cruel towards his employees.’Sandeep‘ told me previously that his three marriages are failed due to some or the other reasons, but the similar thing in all were his brother- in- law was suffering from disability. After doing his past life regression I came to know that he was very cruel businessman in his past life and beaten up one of his employee badly that he lost his hand. This was the reason that in all three marriages his brother in laws was suffering from some or the other disability. Reasons of the broken marriages were he never respected love in his past life. The purpose of healing the past is to help you break free of those compulsions and urges that keep you locked into old patterns of behavior and belief, not only for you to make new choices, but also to step forward into your life purpose. We all want to function at the maximum capability. A 100% commitment to whatever we are doing may be difficult because a major part of our energy is locked away in old patterns, beliefs, fears, and addictions. Every time we trigger a memory, we release trapped energy at every level of our being. With each memory that we clear, space opens inside for something else to flow into us, something we may not believe we deserve- healing love and joy. Under normal circumstances, our reserve of energy is barely half of what we were born with because the available energy is locked away in the traumas. Reliving an event not only releases it in both the physical and emotional bodies, it raises our vibration because energy has been freed from the trauma and cleaned off. As we work through our past, we can face the experience of abuse, change the memory to release the poison, and fill ourselves with love. The painful events of the past become our historical past, instead of creating a hysteric present. Crystal Therapy: -Crystals have always been regarded as bringers of peace, prosperity and happiness. Favorable crystals bring about name, fame, power and make life easier. Ancient scriptures from across the world have praised them as powerful agents of energy that influence human fate and destiny, induce good energy and expel the negative energy that produces sickness and suffering. Healing Crystalsare one of the most beautiful, mystical and profound “energy medicine” tools, which have been used for centuries throughout all cultures, religions and empires. Crystals bring amazing benefits to the healing arena. Crystals magnify the highest energy within, and both the newly spiritually aware and the seasoned crystal worker can gain insight and focus into their lives when combining this energy with the suggested positive affirmations to elicit forces of attraction and confidence. Crystal therapy is the age old traditional faith and belief of people that crystals possess certain magical healing properties and energies that affect human body, soul, and energy. Crystals works on the mechanism of releasing and receiving energy. Crystals can do wonders if it worn correctly. The appropriate crystal have magical effects if it worn by a person. The aura of a crystal plays pivotal role in the healing process if a person is going through some ailments or serious of unfortunate events as well. Their aura surrounds the body of bearer and cast away the evil energy and protects the bearer from misfortune and illness. Meditation: Meditation is one of the basic tenets of Wicca, in order to be effective in magickal work, you will need to learn to enter a state of deep relaxation, a place of calm and balance to align yourself with the natural forces around you. As you learn to still your mind and enter this state of relaxation, you are learning to focus your mind, becoming centred, balanced and calm, you are learning mental discipline. It is here in your inner self that you will meet your Spirit self and your guide through your journey. To reach a truly meditative state requires a lot of practice, and it is important to be patient and take your time. By using a meditation device repeatedly, such as incense, candles, chanting or drumming, you can condition your mind to enter a meditative state. Basic Meditation Technique releasing negativity and also helpful in releasing physical, mental and emotional discomfort. Find a room in your home where you will be undisturbed. If this is not possible, a corner in a room could become your place of regular meditation. Prepare the room if you can with a lighted candle, some fresh flowers, and some lighted incense, or aromatherapy oils to purify the space. Make sure the room is warm, and that the lighting is soft. When you first begin to meditate choose a place that is not too noisy. A blanket over your legs can be comforting. Placing a shawl, or blanket around your shoulders can also be a part of your attire for your meditations. Wear loose, comfortable clothing making sure there is no tightness at your waist, hips, or chest. Switch off your mobile, and take the phone off the hook. Turn off any other appliances that may interfere with your meditation. This is time out for you, your time away from all other responsibilities. Affirm that you deserve this time out. You can sit in a chair with your feet flat on the floor, and your hands resting in your lap, or on your thighs. It is preferable to sit for meditation without leaning onto the back of the chair. You may choose to sit on a cushion on the floor. You can do this by sitting cross-legged. Choose a cushion that elevates your buttocks. Rest your hands in your lap. Traditionally the palms of the hands can be upturned on your thighs. However you decide to sit, keep your back straight throughout the practice. To help centre yourself, gently sway from side to side, and then gently move from your hips, forwards and then backwards. You will sense where the centre of gravity is in your body to keep you aligned. => feel this light entering into your body, flowing through your body and then going down thru the roots to mother earth. => let this energy keep flowing thru you, till you start feeling light, this may take 10 – 15 min minimum. => once you start feeling light, visualize the white stopping its flow from akasha. => take 3 deep breaths so that the healing energy settles down in your body. => and now open your eyes slowly, and you are done with your meditation. Sometimes I just feel that modern medicine doesn’t do enough. Having this alternative means of healing is good to be aware of. I think that once I need it I’ll look into this. Thanks for sharing.